Click the flyer thumbnail for larger version. Reputation management is vital to brand development. It is important to remain aware of how you are regarded by the public and in the media at any given moment. The most difficult challenge is keeping up with the latest news in real-time. Your Rayz Designz team keeps an intensiveness eye on many crucial online searches including blogs, Facebook, Twitter, Instagram, Tumblr and more, so that you may remain proactive in your own public perception. Monitoring helps you to manage your identity, stay ahead of inaccurate and outdated information and craft strategic messages for your audiences. 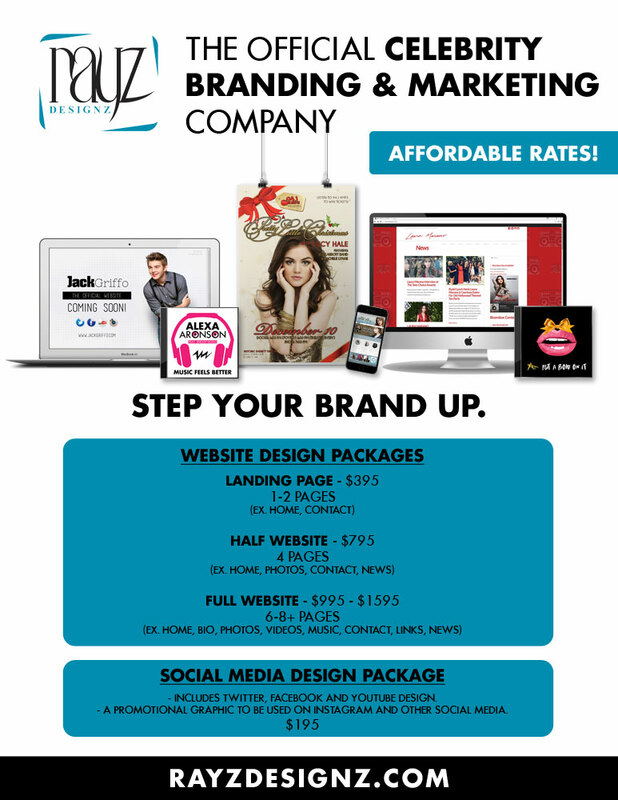 We will provide you with strategic information that is important to strengthen your reputation and a consistent brand. The public has more access to celebrities than ever before. Social media networks allow celebrities to listen to and interact with their audiences. As these networks continue to multiply, it can become difficult to maintain multiple social network profiles on your own. Your Rayz Designz Celebrity Media Specialist will help you get the most out of social media marketing messages, design component and promotional efforts. We work closely with you and your publicist to ensure that your use of social media is optimized with the right blend of posts, comments and content to increase your fan base. We can effectively track and monitor activity to intensify your social media presence and make sure that your fans always feel connected. Rayz Designz understands that when establishing a brand, identity is crucial. It is important that any visual devices used to reinforce your brand are quickly recognizable and memorable. 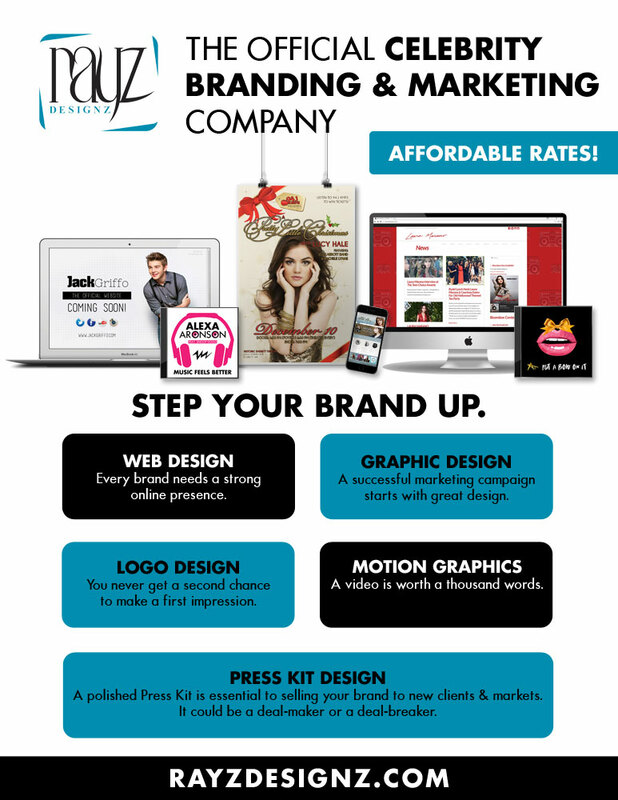 Designing a website and logo for a celebrity client is uniquely different than for a business. Our client’s, creativity is often as important as practicality. We strive to deliver a design package that reflects your unique personality, sense of style and clear vision. We work to develop a complete understanding of your target audience. Our team works directly with you, your publicist, manager and, or agent, to coordinate a unified vision for widespread brand success. 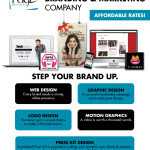 Rayz Designz puts an emphasis on strong design and functionality that are the base of a successful website. We ensure that our final work reflects your true character and the Celebrity Brand you envision for yourself. Our hosting and domain management includes website domain name registration, hosting, email setup, launch time monitoring, load balancing and other web administrative services with maintenance and support. We maximize User Experience Optimization, meaning we optimize the websites to provide your users and fans with the information they desire in a quick and easy browse-able format. It is important that everyone involved understands our strategic decisions, what these decisions will achieve, which demographics they will attract and how they will bring brand recognition and consistently growing revenue streams. Rayz Designz team has years of experience working with PHP, HTML, and Custom Programming skills to apply on your behalf. Our digital engineers are masters of efficiency and code creativity. They are constantly on the forefront of new industry developments and educating themselves on new trends. 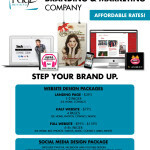 Our team has the digital expertise to create excellent sites that create repetition as your fans click back for more. Search Engine Optimization is the process by which the public is easily able to connect to information about you. It focuses on achieving high ranks in search engines, ultimately making you accessible to a variety of audiences. This strategy anticipates how the average person thinks when trying to access your online presence. We use techniques to improve optimal results and bring visibility that drives more visitors to your site. Your official website will be in line to increase web presence on all the major search engines, such as Google, Bing and Yahoo. Rayz Designz team of experts optimize your website for the best search engine positioning. This keeps your official website where your fans will visit it the most. 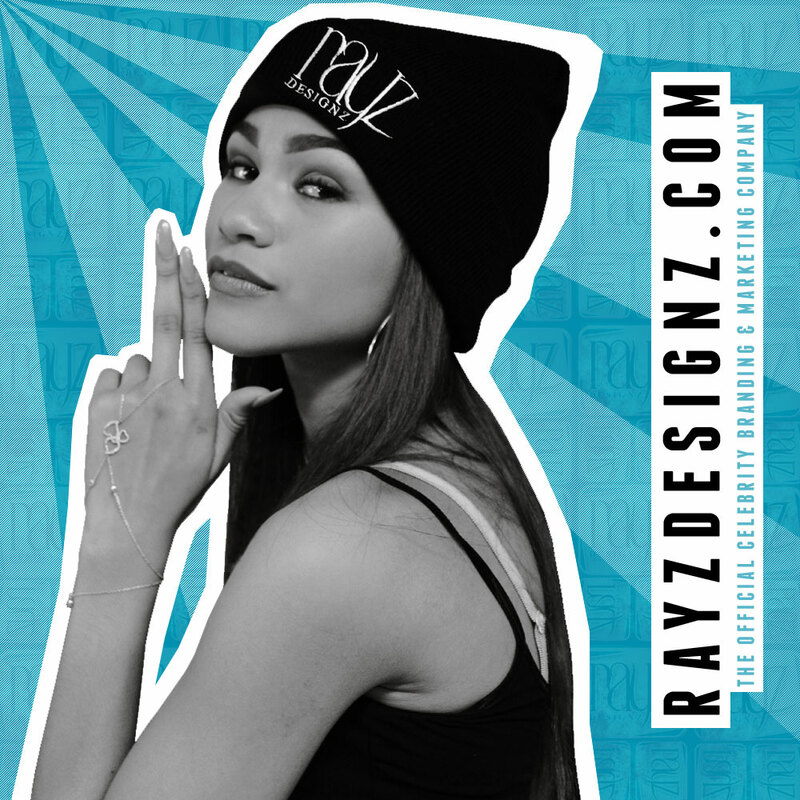 Rayz Designz VIP services for our celebrity clientele includes helping with managing photos, videos, and music. Your personal Celebrity Media Specialist will work with you to help you publicize your latest content to increase your fan base and viewership.